Moving to the U.S.? Want to which are the best cities for international students in the U.S.? Deciding which city to move to in the U.S. is an important and difficult decision for anyone. It is especially difficult for international students because it might be their first time coming to the U.S. And unless you’re coming from Canada or Mexico, moving might also mean crossing the ocean. An overseas move is the most difficult one of all. Saying goodbye to your friends, family, and packing everything you own in a suitcase isn’t easy. On top of that, English might not be your primary language. You will also have to complete a lot of paperwork. All of these are unavoidable challenges that come with moving to the US. However, picking a city in the US that is international students friendly will make your move much easier. Since you can’t control how difficult the logistics of moving to the U.S. will be, you should focus on moving to a city that best fits your personality and needs. We’ve rounded up a list of the best cities for international students in the US. Check them out and keep them in mind when considering which city to move to in the United States. If you’re thinking of applying to a university based on where you’d like to live, or if you’re equally interested in several universities and want to narrow them down based on location, then you can rank them according to the following factors. These will help you make your decision. What are the factors I should consider before picking a city in the U.S.? There are many ways in which a city can be diverse. It’s important to decide which type of diversity is important to you. How important is it to you to be able to easily find groups of people from your native country who speak your own language? Some cities have higher concentrations of a certain nationality. A diverse city can help you feel more welcome during your first years in the United States. Plus, finding a community of people from your own country who have been through what you’re going through can make your move easier. Weather can directly impact your mood and daily life. It will also mean that you will need to acquire the appropriate attire and method of transportation for the weather you’ll be living in. If you’ve lived in tropical climates all of your life, you may not know what it’s like to experience the full four seasons. You may not know how difficult transportation becomes in the winter. Trains and buses get delayed. It’s increasingly hard to walk to places as you have to deal with wind-chill and possible frostbite. And if you plan on driving, you need to make sure your car is outfitted for the winter. The cost of living in cities across the United States varies greatly. For example, Miami and Los Angeles are both popular cities. They are familiar for internationals moving to the US and both have similar weather. However, according to Expatistan, the average monthly rental cost for a regular 900 ft2 apartment in Miami is $1,618. The same space in Los Angeles would cost you around $2,144. The cost of food, transportation, and goods also varies from city to city. Expatistan is a great tool for comparing the cost of living between cities. It’s important to research cities to see if they meet your particular transportation and accessibility needs. Not every city in the US has great public transportation. Some cities are bigger, more spread out, and centered around driving. Others have a robust public transportation system. When it comes to evaluating the importance of this factor, you must first decide if you want to live right in the city or further out on the outskirts. The United States is very geographically diverse. You can find Rocky Mountains, deserts, and sunny beach coasts. When picking a geographical location, it’s important to consider the type of work and leisurely activities you plan on performing in the US. Also, will you be moving on your own? Are you moving with your family or a roommate? How large are the houses or apartments in that location? Does it make sense to live in that area of the US? This is a polarizing criterion. Some expats want a place that is completely different from their native city. Others want a place that feels as familiar as possible so they can minimize culture shock and homesickness. If you’re coming from Hong Kong, for example, moving to Los Angeles or Seattle might feel more familiar than moving to Austin, Texas. We hope this list on the 6 Best Cities for International Students in the U.S. helped you make your decision. Moving to the U.S. is hard, but getting a car doesn’t have to be. We can help you buy a car in the United States, even if you don’t have credit history or a social security number. Find out how you can buy a car in the U.S. as an international student. 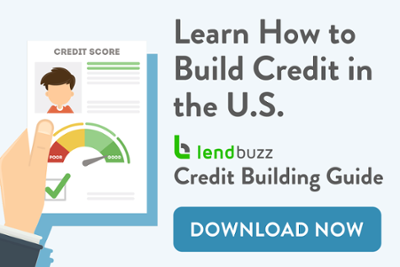 https://blog.lendbuzz.com/wp-content/uploads/2018/07/bestcitiesforinternationalstudentsmovingtousunitedstates.jpg 1280 1920 Coralys Negretti https://blog.lendbuzz.com/wp-content/uploads/2016/10/logo.png Coralys Negretti2018-08-02 10:43:142018-08-06 11:17:176 Best Cities for International Students in the U.S.
5 Summer Road Trip Ideas for International Students Can You Buy a Car with an International Driver’s License in the U.S.?